Buhay Jeepney: Taft Ave. corner Vito Cruz St. 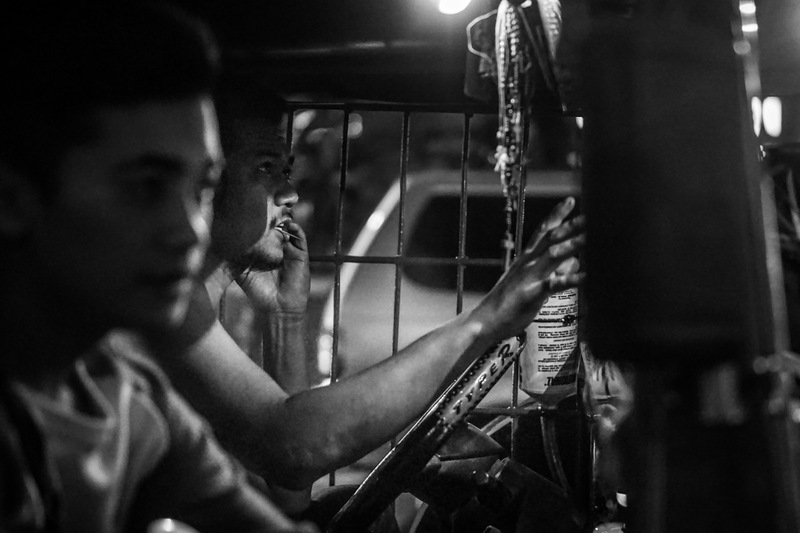 Whenever I’m on foot or commuting during the evening rush or at later parts of the night, I’d take photos of jeepneys and the drivers or passengers. It has become a habit the past few months and it soon evolved into a series which I will soon start sharing and putting up on a special section which I will call ‘Buhay Jeepney’. Taft Ave. corner Vito Cruz Street. Taken April 15, 2017. I’ll upload EXIF data from the RAW files on my Flickr soon. Posted originally on my Instagram. Filed under Street Photography. Tagged as 50mm, APS-C, Buhay Jeepney, Manila, SEL50F18, Sony A6000, Street Photography, Streets of Manila.